Live the Modera Life with a Reduced Admin Fee! Reduced administration fee when you look and lease + $300 off first month's rent for medical center employees. You can’t help but be inspired when at the Houston Medical Center. Just being among the hustle makes you feel part of something noble. The convergence of medical innovation, the arts, the outdoors, and academia radiates a sense of possibility throughout the campuses. People move with hustle here, on their way to do astounding things — maybe even save some lives — just another day in the life of the Houston Medical Center. And smack dab in the middle of it all, across the street from MD Anderson, is Modera Flats. Our luxury apartments in Houston, Texas feature 265 brand new apartments designed to inspire. Consider us your home base, creative space, and launching pad. You are poised to do good things in this world, and we are here to help you make it happen. It starts with our exceptionally convenient location, which is walkable and bikeable to the MD Anderson campuses, Hermann Park, the Museum District, and Rice University and Rice Village. Thinking about ditching your car? With access to light rail and a few minutes on foot, you can do that and get around town. We understand, though, that this is Houston, so there’s ample parking for whichever mode of transportation you prefer. It’s immediately apparent when walking into a Modera Flats apartment that function can have beautiful form. Our apartments deliver elegant style with practicality. You’ll find all the right finishes in all the right places in these luxury homes. From the granite to the double vanities to the upgraded pendant lighting, everything here is spot on. Light-filled, well-wired, sleek and open, the generous layouts give you room to sprawl, unwind and recharge (you and your devices). It’s exactly the kind of apartment you would expect from Dallas-based Mill Creek, which is known for getting luxury living right. Take a stroll through our online gallery to get a better feel for what you will experience at Modera Flats. Our community amenities and public spaces are on par with the interiors of our apartment homes, exuding a palpable feeling of purpose and possibility. Our spaces are modern, comfortable, and marvelously connected with Wi-Fi, media, and gaming. Extra touches for your convenience and comfort include a complimentary coffee bar, outdoor grills, and a social kitchen. 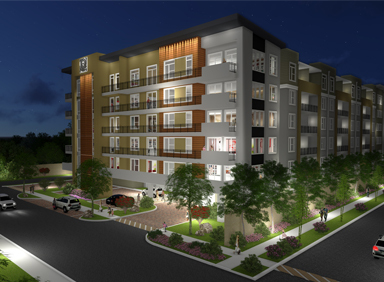 Come be part of the energy at Modera Flats and Houston Medical Center at Modera Flats. Take a look at our floor plans to what studio apartments and one-, and two-bedroom apartment homes are available. Contact us to set up a tour or apply online today! Experience the Art of Living Well in Houston. Now Leasing at Astor Tanglewood.